I met my husband Ed when I was 23, and once things got serious, I had a strong desire to cook for him. Even back then, it was how I expressed my love. I never let lack of skill get in my way. But what to make? 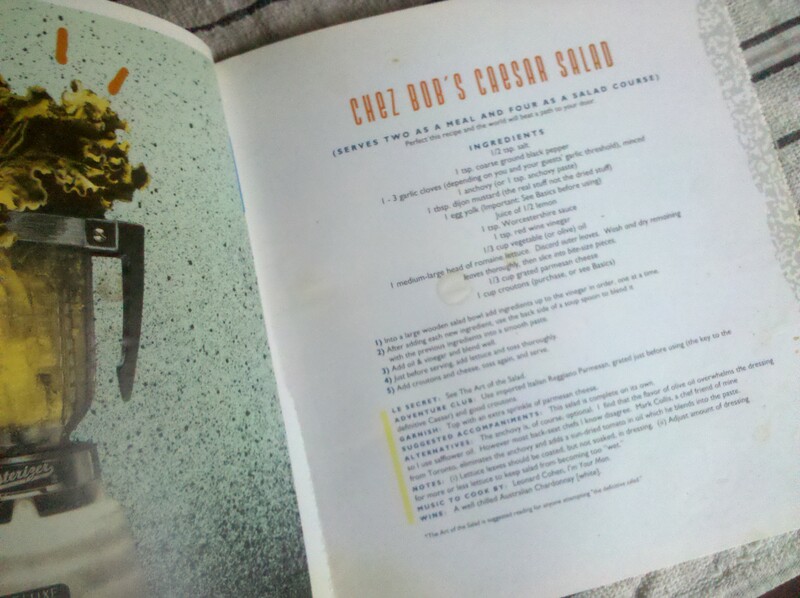 I bought my first cookbook when I was 22. It was The New York Times Cookbook, and it made about as much sense as buying Harry Potter for a Kindergartener who just learned how to read: way beyond my novice level, very intimidating and frustrating. 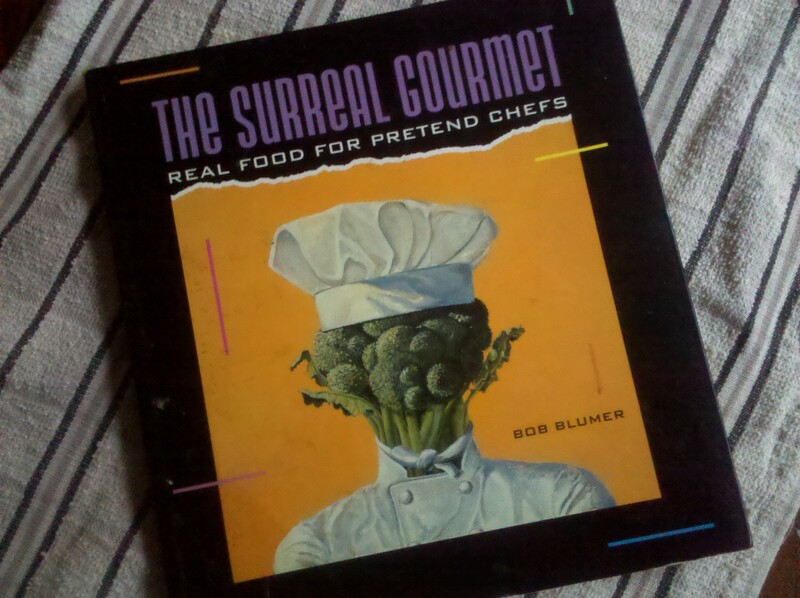 On my lunch break one afternoon, I wandered into the original Urban Outfitters on Walnut Street in Philadelphia where I stumbled upon this book, The Surreal Gourmet: Real Food for Pretend Chefs by Bob Blumer. Pretend chefs? Sign me up! It was the early 90s, Caesar salad was all the rage, and there looked like a decent enough Caesar salad recipe on page 19. I was sold, and my cookbook collection was born. My apron collection was still about ten years away. This recipe will always hold a special place in my heart, as it was the first decent thing I ever made for my husband, as well as the first recipe anyone ever asked me for. I have made this hundreds of times through the years, and it is always a hit. I don’t usually include anchovies, mainly because I rarely have them on hand, and I use olive oil instead of safflower oil. I never coddle the egg, since I live on the edge. Aside from that, I stick to the recipe, and I’m always happy with the results. 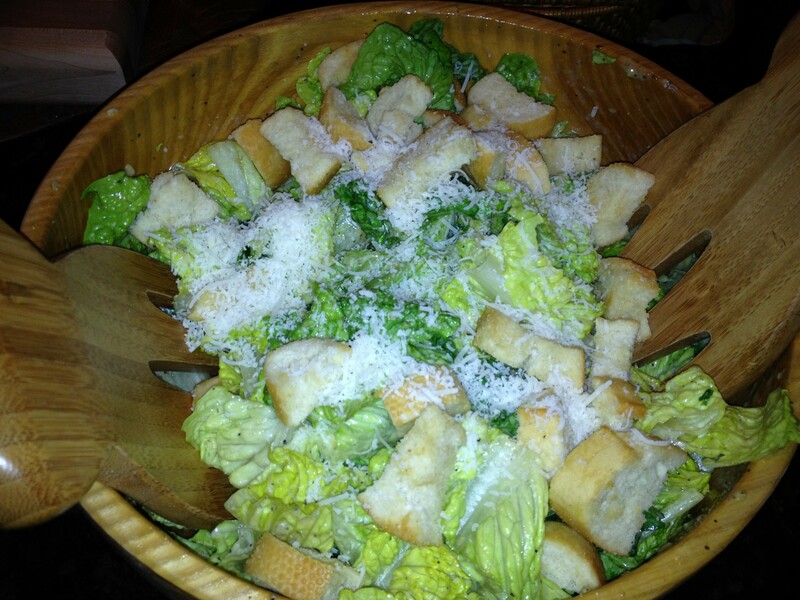 As far as my family is concerned, this is the only Caesar salad worth eating. Coddle the egg yolk by placing the whole unshelled egg in boiling water for 40 seconds, then running under cold water for 15 seconds. In order and one at a time, add salt, pepper, garlic, anchovies, mustard, egg yolk, lemon juice and Worcestershire to a large wooden salad bowl. After adding each ingredient, beginning with the garlic, use the back of a soup spoon to grind it against the wall of the bowl and blend it with the previous ingredients into a smooth paste. (It should take about 15 seconds of muscle power to blend in each new ingredient.) Add oil and vinegar. Blend well. Just before serving, tear lettuce leaves into bite-size pieces. Add to salad bowl. Toss thoroughly. Add croutons and Parmesan and toss again. Serve on chilled plates. This entry was posted in Salads and tagged best caesar salad by Mom Mom's Apron. Bookmark the permalink. This looks SO EASY. Who knew? Yea! Now i can make it again!!!! This is a wonderful recipe and i love your blog too!